While talent is one of the key tenets of being a successful cricketer at international level, it is often the temperament that separates the men from the boys. Each period in International cricket ushers batsmen who enthral the cricketing folklore with their skills as well as their temperament. Today in this blog, we'll celebrate such batsmen who with a plethora of skill, steely temperament and immaculate consistency, plummeted bowlers from around the world and still maintained an enviable average. Earmarked as a prodigious talent, Mike Hussey had to grind it out in the domestic circuit all over the world before making his presence as an International cricketer. Having made his name as a reliable ODI finisher, an ideal successor to Michael Bevan, Hussey made his Test debut against the West Indies in 2005 as a replacement for injured Justin Langer and sealed his spot immediately with a pristine hundred at Hobart. The fastest to reach 1,000 Test runs, Hussey played a pivotal role in Australia's 5-0 drubbing of England in 2006-07 Ashes, where he averaged 105.25 across five matches. 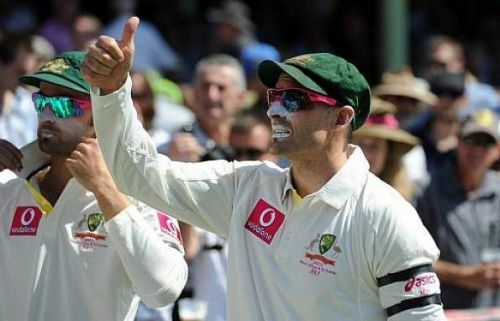 Hussey hit a rough patch in his career post-2008, with critics calling for his head after a lean run of form before Ashes 2010/11, but Mr. Cricket bounced back astonishingly with 570 runs in five matches. He again proved his detractors who doubted his suitability in the T20 format wrong as he transformed himself into a T20 marauder playing a pivotal role in CSK's title-winning seasons in 2010 and 2011. In all, Hussey amassed 12,398 runs in 302 international matches across formats at an astounding average of 49.00.